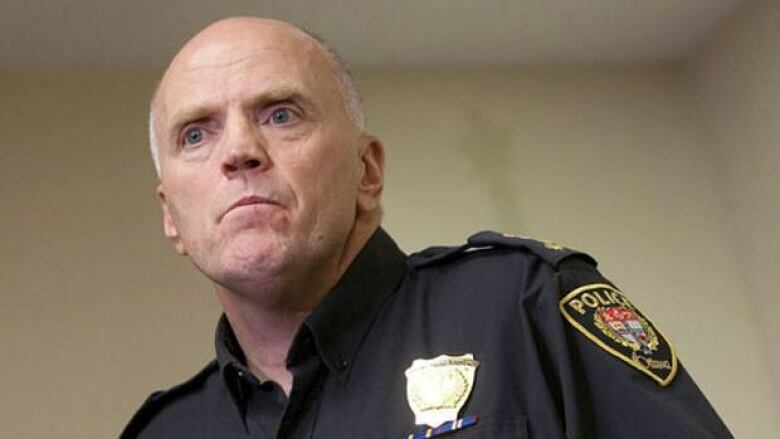 Ottawa policing budget was passed at a quiet Monday meeting, leaving the city's police chief wondering where the debate is. Ottawa’s police budget was passed at a quiet Monday meeting, leaving the city's police chief wondering where the debate is. The police services board passed a $237 million operating budget, which includes $9 million in new spending — less than what the force wanted, but a number that won't blow council's 2.5-per-cent tax target. Police Chief Vern White said the limited increase will mean holding off on new hires, while leaving other jobs vacant. He said he was disappointed nobody was there to speak out. "There just doesn't seem to be any debate around the budget," White said. "I think debate is important in all aspects of public accountability, and I think certainly in budget debates." Nobody from the public posed a question at any of the budget discussions. Police board chair Eli El-Chantiry said he also wishes there was more chatter about the police budget. "I wish there was some grassroots discussion going on," he said. "If they're happening, I'm not hearing them." Coun. Jan Harder (Barrhaven) said people won't speak up on the issue until they notice a decline in the level of police services and officers on the street. "I think where we're going to get up against the wall is about 2013, and the chief has told us that that's going to be a very difficult year for policing," Harder said. "I think that will generate more interest, but that's only when you see people get engaged." The rest of the city's budget is set to be voted on Tuesday. There will be no public delegations at that meeting after council voted in December to restrict public consultation to the committee level.